Printed circuit boards are sometimes also called printed wiring boards or printed wiring cards, but you’ve likely most often heard these components referred to by their acronym, PCB. PCBs are used in nearly all electronics devices today, from computers to portable electronics and in applications ranging from manufacturing to aerospace. Engineers involved in the design and development of electronics, then, inevitably encounter the need to design a PCB. However, PCB design is a complex process with many considerations, sometimes with no single “right” way to achieve a functional outcome. Engineers with an in-depth understanding of the PCB design process and the pros and cons of various options are in the best position to recommend the best design choices to balance functionality, usability, and durability within budget constraints. PCBs represented a major shift in electronic design, offering drastic improvements over previous methods, such as point-to-point wiring, which often led to short circuits and failures at junctions as wire insulation aged and began to crack. Wire wrapping was a major improvement at the time of its introduction, but as the consumer electronics market grew, the demand for smaller, more cost-effective options led to the development of the PCB. Substrate (FR4) – The base material of a PCB, typically comprised of fiberglass, which provides the rigidity and thickness to a PCB. However, some flexible PCBs are built on a high-temperature plastic (often Kapton or an equivalent plastic) to provide the needed flexibility. 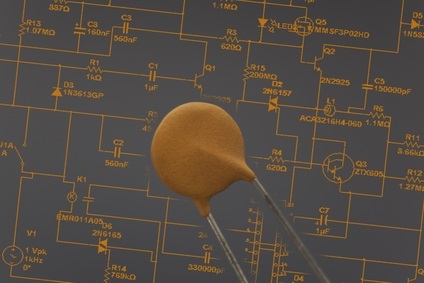 Among cheaper PCBs, you may find substrate layers consisting of epoxies or phenolics, which are less expensive but also less durable; thus, they’re more commonly found in low-end consumer electronics. Copper – A thin copper foil layer is laminated to the board with heat and adhesive. For double-sided PCBs, the copper layer is laminated to both sides of the board. However, lower-cost electronics may have copper laminated to only one side. There can be as many as 16 layers of copper — or more — in a PCB. Soldermask – The soldermask layer is found on top of the copper layer and gives the PCB its color — often, the traditional green, although it may also be another color. The soldermask is designed to insulate the copper from other metals, solder, or other conductive bits to prevent unintentional contact. It also aids the user in soldering in the correct locations, preventing solder jumpers. Silkscreen – The silkscreen layer is applied on top of the soldermask layer and adds markings (numbers, letters, and symbols) to guide assembly and aid in understanding the board. Silkscreen layers can be used to label the functions of pins, LEDs, and other components, and while they’re typically white, other colors (black, grey, red, etc.) are possible. It’s uncommon to use more than one silkscreen color on a single board. Mechanical Layer: All PCBs require at least one mechanical layer, although there may be several. A mechanical layer outlines the physical dimensions of the board, which a fabricator uses to cut the circuit board from stock material. Additional mechanical layers may include tooling specifications or other mechanical details. Keep-Out Layer: This layer specifies the working area of a PCB, constraining your design within these defined borders. This layer may also outline other pertinent areas within the board that must remain clear for design purposes. Routing Layers: Used for component interconnects, and also the layer where PCB designers spend the greatest amount of time fine-tuning their design. Ground Panes and Power Planes: These layers are comprised of solid cooper and shorted to a fixed potential. Split Panes: These planes divide a PCB into specific sections, which may have different ground voltages or potentials. Overlay (Silkscreen) Layers: The layer containing text designators for all components and other information. Solder Mask Layers: The thin, typically green protective coating most PCBs contain on the top and/or bottom layers. Solder Paste Layers: A material used to aid in soldering for surface-mount components. It helps solder flow better by bonding component pins to copper. The basic board structure is only the beginning. A variety of other components are combined and configured to create the end result — a functional, effective PCB to meet the needs of your application. We’ll get to those details later in this guide, but before you get started on designing a PCB, there are some important questions to ask to frame your project. How many products will be built? Are there specifications or regulations to comply with? What team members will be involved in the design process, and what are their skills? Now, with these answers in mind, it’s time to work through the design process. Before beginning any PCB design project, you need an in-depth understanding of the final product, the need it solves, target user, desired features and functionality, size, and so on for your initial iteration. Is the product an IoT gadget? If so, you’ll need sensors, a wireless interface, and a wired interface to provide the full functionality necessary to interact with the user, other devices, and the cloud. Additionally, you should think about how will the device be powered. 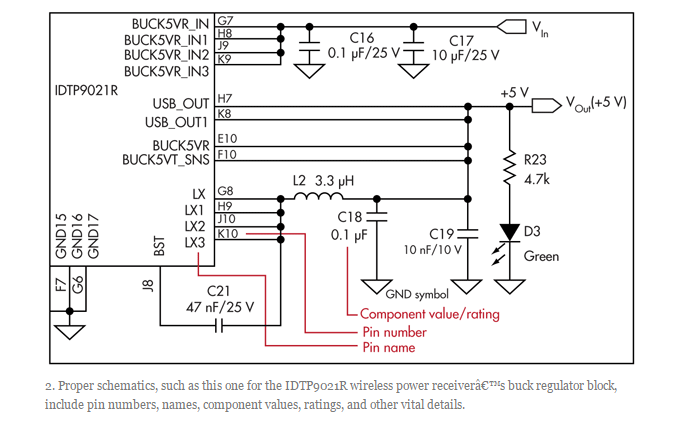 Some power options require additional interfaces, and there are specifications to consider as well, such as standards pertaining to USB-C and other connectors. Other considerations at this stage include light and sound indicators, power supplies for converting and regulating voltage levels, and antennas, such as NFC, radio, and 2.4GHz antennas. IoT devices rely on sensors to facilitate real-time data inputs, which come in a variety of forms from buttons to thermal sensors, infrared sensors to facilitate remote control, and others. The sensors required for your product depend, of course, on the data inputs necessary to achieve desired functionality. IoT devices, being connected by definition, must have a wireless interface, either to communicate with other connected devices or to a telecommunications network (Wi-Fi, 4G, LTE, etc.). There are also several options among wired interfaces, and many devices, particularly those in the consumer electronics market, have both wired and wireless interfaces, and some have more than one wired interface, such as audio and video interfaces in addition to wired power options. Another early-stage consideration is the typical operating environment for the final product. Will the device be exposed to extreme temperatures or harsh environments? Is exposure to water or moisture a possibility? Environmental considerations can impact material selection, so this is an important concern to weigh prior to delving into the design process. Finally, you should have an approximate idea of the final dimensions. 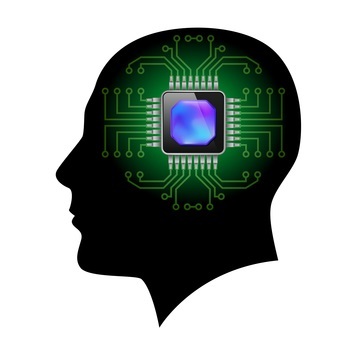 A PCB, as important as it is, is just one component in an electronic product, and the product’s overall design often creates physical space constraints that can limit certain possibilities for PCB design. Often, specific functions can be made possible with the addition of select hardware components or, alternatively, by adding specific code to the device software. 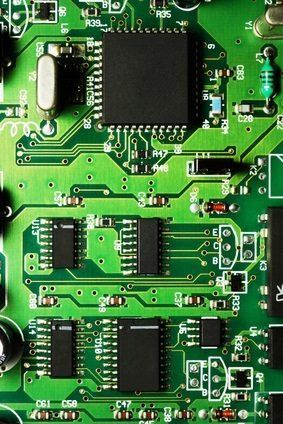 This is a critical decision to make in the PCB design process, as you’ll need to determine if the desired functionality can be achieved through software or what hardware components are required for the circuitry. Often, both hardware and software configurations are possible, so the decision then becomes a matter of design choices, complexity of implementation, and the advantages and disadvantages of each approach. 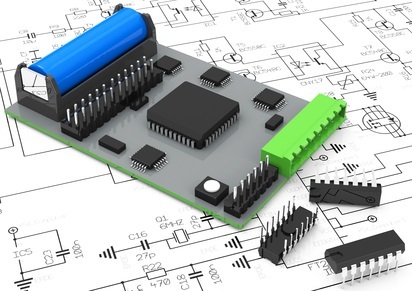 So, today’s PCB designers may opt for several larger, but programmable, components to implement the necessary functionality for a device rather than relying on a larger number of smaller hardware components. Because this method relies on fewer components overall, it can actually take up less space on a circuit board (despite the individual components being larger in size) and can be a more affordable option. It’s also easier to issue updates or address malfunctions compared to troubleshooting a complex circuit with many smaller parts. 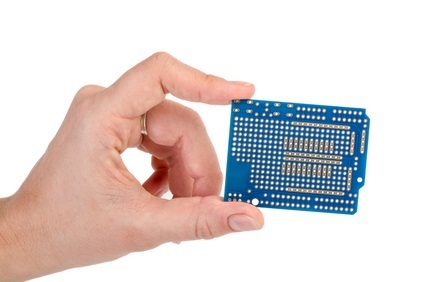 The microcontroller is often thought of as the centerpiece of a PCB. Not because of its placement on the board (not necessarily in the center of the board) but because it’s the core functional component, or the “brain” of the product. The microcontroller is the component responsible for receiving inputs from other components including sensors, wireless receivers, and other connectors. The microcontroller is then responsible for processing data inputs and transmitting the data to other connectors or wireless transmitters, or to LED status lights, speakers, or a display screen. It’s generally considered the desired choice for communicating with individual switches, LEDs, and other low-level hardware components. Programming options: Do you need a microcontroller with internal memory only (such as flash or eeprom program memory), or do you need it to work with external memory options as well? Microcontrollers that can work with external memory are generally more expensive, but in many cases, it’s a necessary expense to meet end user demands. Also consider if you need a microcontroller that can be erased and reprogrammed repeatedly, or if a one-time programmable chip is all that’s necessary. Peripherals: Common peripherals include built-in Ethernet, USB, UARTs, SPI or I2C controllers, PWM controllers, and EEPROM data memory, among others. Built-in peripherals limit the options among microcontrollers somewhat, so you may need to consider whether the desired functionality can be implemented using external parts or software — which is often a possibility. Memory: An important consideration for any electronic device today, the amount of memory available depends on the microcontroller selected. Consider both internal RAM requirements as well as the possibility for expansion using external RAM. There are other technical considerations as well, such as architecture, programming tools for hardware and software (supplied by the manufacturer, or will third-party programming resources need to be used? ), and so on. At this point, you’ve made some design choices and considered options for various required components, so you have the background information needed to prepare a schematic, a visual representation of all the details necessary for proper circuit operation. A schematic is quite detailed, including specifics such as pin numbers, names, ratings, and component values. Each schematic symbol should also include manufacturer part numbers, used to determine pricing and other specifications, such as package specifications which define the footprint necessary for each component used in the PCB. This is imperative for selecting components and mapping the PCB’s layout effectively — ensuring not only that the necessary components will fit on the board, but also that spacing for certain components is adequate to avoid thermal issues. Ensure that exposed copper for each pin is slightly larger than the component pins and is properly located. This depends on the space available and the soldering method. For components in microscopic packages, ensure that at least 2.5 to 3 mils of soldering mask is applied between every pin on the board. Abide by the “rule of 10.” Small vias with a 10 mil-sized finished hole should have an additional 10 mils of pad ring, and all traces should be at least 10 mils from the board’s edge. The trace-to-trace pitch should be 10 mils, and any vias with a finished hole size of 40 mils or larger should have a pad ring added to ensure reliability. Finally, to reduce the risk of solder bridging at solder points, add an additional clearance of 15 to 25 mils beyond the design rule (from plane to pins) for copper planes on outer layers. Orient all similar components in the same direction to reduce the likelihood of soldering errors. On the solder side of the board, don’t place components opposite plated through-hole components on the other side of the board. As a general rule, keep SMT (Surface Mount) components on the same side of the board. Likewise, keep all through-hole components on the top side of the board. Doing so reduces the number of assembly steps. Power and ground planes should be symmetrical, centered, and placed on the interior area of the board. Avoid creating chains of power lines from part to part. If you have sensitive signals, you’ll want to ensure that those signals are adequately shielded from noise sources using planes. For any components that absorb 10 mW or greater, as well as components that conduct 10 mA or more, you should carefully weigh thermal and electrical considerations. Any power management components should use either ground planes or power planes for heat flow. For high-current connections, follow the accepted voltage drop for the connection. There should be two to four vias for at each layer transition for high-current paths. Additionally, having multiple vias at each layer transition offers benefits such as improved reliability and thermal conductivity, as well as reduced inductive and resistive losses. Signal traces should be placed according to your schematic guideline and should be as short and direct as possible between components. Thermal management is an important consideration deserving of special attention, because improperly managed heat issues can degrade and damage a PCB. Consult the thermal resistance ratings for each component, and determine which components dissipate the most heat. Make sure that critical components are placed at an ample distance from high-heat components. Always use thermal reliefs on through-hole components, and use a thermal relief pattern for all vias and holes connected to ground or power planes. Teardrops can also be used for added copper/metal support and to reduce mechanical and thermal stress. Review the layout and physical position of components, as well as routing paths and make adjustments as necessary to optimize the circuit within the context of all design constraints. Verify that all sensitive circuits and nodes are shielded adequately from all noise sources, ensure that solder mask has been placed between pins and vias, and that the silkscreen layer conveys the necessary detail clearly and concisely. Gather feedback from other designers involved in the project and make sure that you maintain detailed lists of all changes implemented at each iteration. Use a Design Rule Checker (DRC) as a framework to avoid errors in the design, as well as an Electrical Rules Checker (ERC) to verify that your design meets all constraints and specifications. Design rules and electrical rules may vary and should be specific to your project. Finally, once your DRC and ERC confirm that your design is error-free, you should run through your schematic, wire-by-wire, to verify the routing for every signal and ensure that nothing has been missed. How did you learn PCB layout?